Hudson Square recently invited five firms to participate in envisioning possibilities for the district’s future development. “Hudson Square Prints Green! 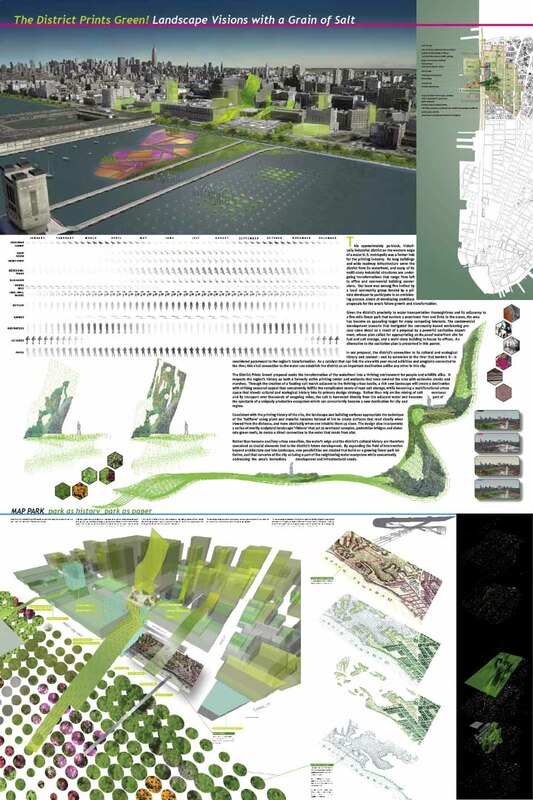 Landscape Visions with a Grain of Salt,” imagined the transformation of Hudson Square through its connection with the Hudson River.